Creating a root cellar may seem like a simple concept and easy to do. This year we are planning on growing our own vegetables in the garden and I want to make sure I preserve the fruits of our labour properly so that we can have the benefit of them in the winter. This book takes you from building a root cellar to filling it full of the bounty of the season. 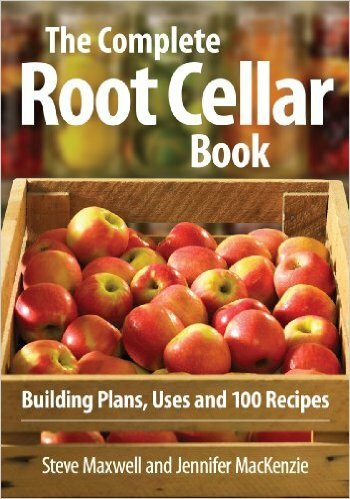 It is a wonderful resource for those wanting to know how to make a root cellar and product to go in it. The Root Cellar Book provides technical information on using photovoltaics (solar cells) and other energy technologies to enhance a root cellar's performance and ecological sustainability. It also includes must-know information on how to choose, store and manage a supply of fruits, vegetables, nuts and preserves.